Whether you’re looking for a sumptuous dining experience overlooking the pool in our Oasis Restaurant, a place to unwind with friends with a French pastry in the Tea Garden or a delicious snack and beverage at the Pool Hut while having a dip we have it all. We provide a wide range of dining options to suit all tastes. 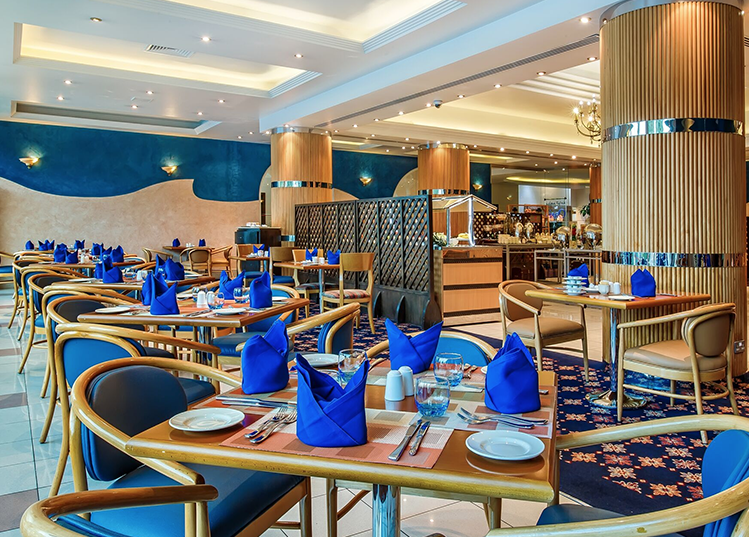 Al Murjan offers an impressive range of cuisine and all day dining, Bab Al Bahr offers a mouthwatering array of fresh seafood and the Ocean Wok serves up a range of speciality Asian dishes. For a more casual experience take a look at Cafe Oceanic for coffee or grab a light dish or dessert at the Amwaj Pool Bar. We provide a wide range of dining options to suit all tastes. 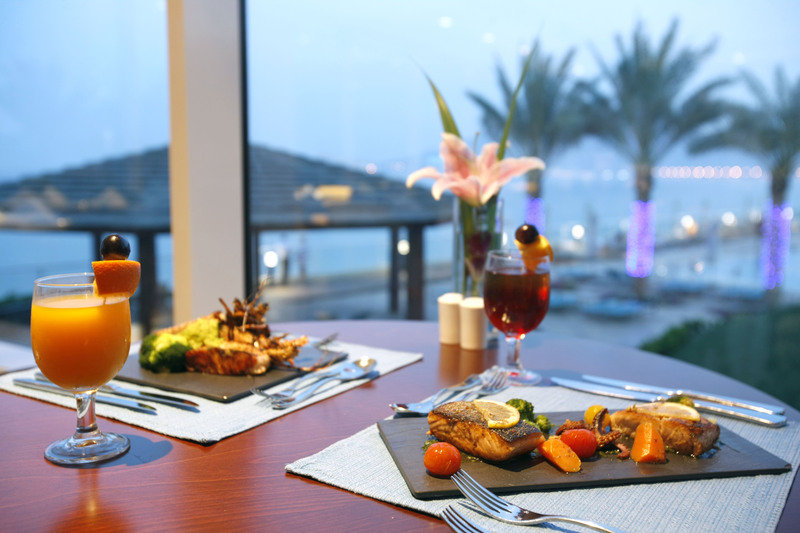 Al Murjan offers an impressive range of cuisine and all day dining, Bab Al Bahr offers a mouthwatering array of fresh seafood and the Ocean Wok serves up a range of specialty Asian dishes. For a more casual experience take a look at Cafe Oceanic for coffee, or grab a light dish or dessert at the Amwaj Pool Bar. Bring you Italy on a plate! Caesar’s Palace is the only authentic Italian a la carte restaurant of it’s kind in Sharjah. 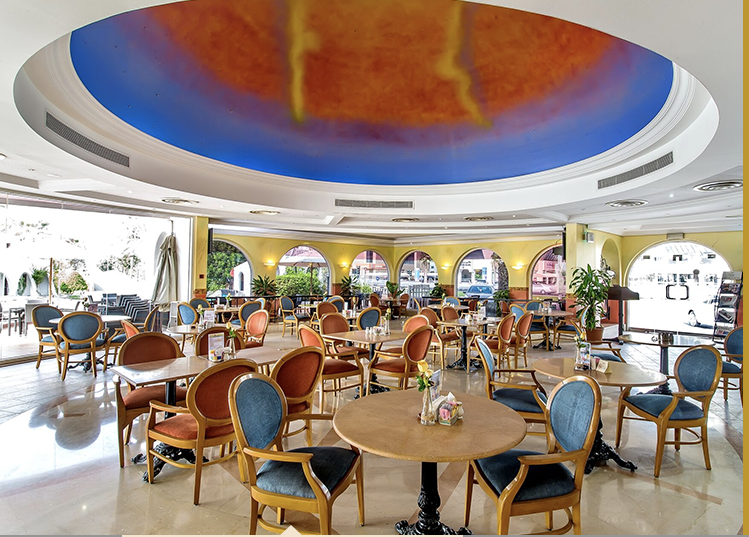 Or to savour a wide range of Italian inspired cuisine and snacks check out Cafe Undici. If you’re looking for more relaxed dining then grab a snack and beverage at the Cascade Pool Bar.